Tracking your website’s ranking (and your competitors’) for the keywords that are valuable to your business should be a part of your marketing way of life. Not only will you be able to uncover bajillions of opportunities to get more traffic, leads, and sales by doing this, but you’d also be alerted should something unfortunate happen to your website (e.g., getting penalized by Google or your competitors outranking you on your money keywords). If you want to pay close attention to your online business’ health and spy on your competitors’ websites to get a better understanding of how to improve your marketing campaigns, then you’re in the right place. Allow me to share with you how our RankTracker tool works. That way, you’ll see first hand how user-friendly and clutter-free it is, yet how it still packs a lot of value to our users. 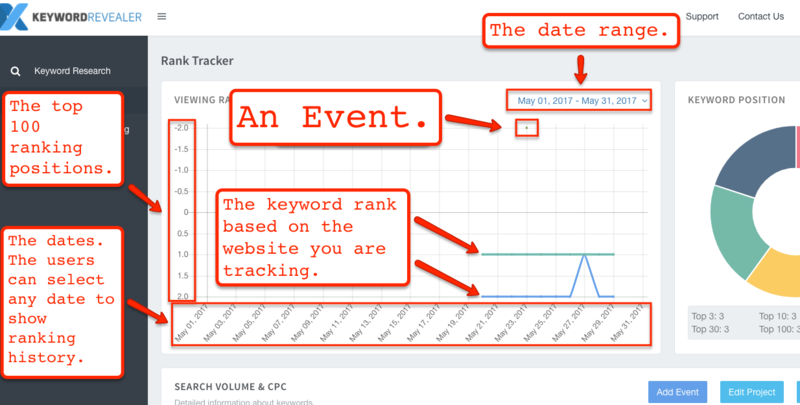 This feature gives you an idea of how well a website is ranking for the top 30 results of the SERPs for the keywords you’ve chosen to track. According to Google, on average, their users would only look into their top three Search Engine Results Pages (SERPs). That said, instead of basing our Visibility Score on all ten pages of the SERPs, we just based our Visibility Score on the first three pages — their top 30 results. 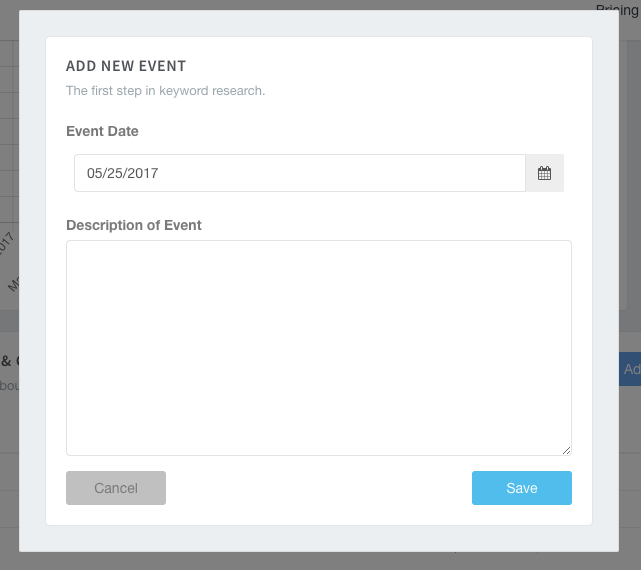 This feature takes the ranking of each of your keywords and marks the average among all of them. This gives you a quick insight on how your website’s overall keywords are performing. This section will show all the projects that you saved. When you click on any of the lines, our system will reveal to you all the keywords within the domain name that you decided to track. a) Project – The project name you assigned for the domain that you’re tracking. b) Domain – The domain name. c) Keywords – The number of keywords you’re tracking on the domain. d) Last Checked – The last time our system updated/checked the rank data for the project. e) Actions – This is where the users can delete or open the project. 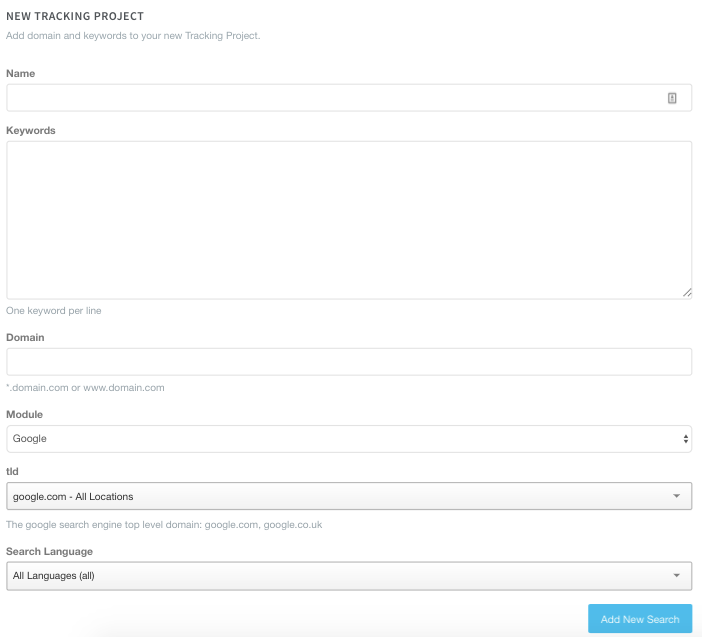 Clicking any of the projects from the Saved Domains overview will reveal the keywords that are tracked within the project and several other details about the keywords like the Average Monthly Searches (AMS), Cost per Click (CPC), Number of Words, the keyword’s current ranking, and the keyword’s best ranking. To get deeper insights about your projects, click the button beside the trash can icon. You will then be taken to the details of your project. This is how the web page would look. Here’s a quick guide to what you can see on the Viewing RankTracker section. It’s important to note that clicking any of the show chart column trend icons will select/unselect the keyword from the chart. If there are events that you’d like to take note of (or track) since you think it will have an impact on your ranking, then click the “Add Event” button. This pop-up will then appear. Once you’ve chosen a date, added a description, and clicked the “Save” button, a small marker will then appear in the “Viewing RankTracker” section. 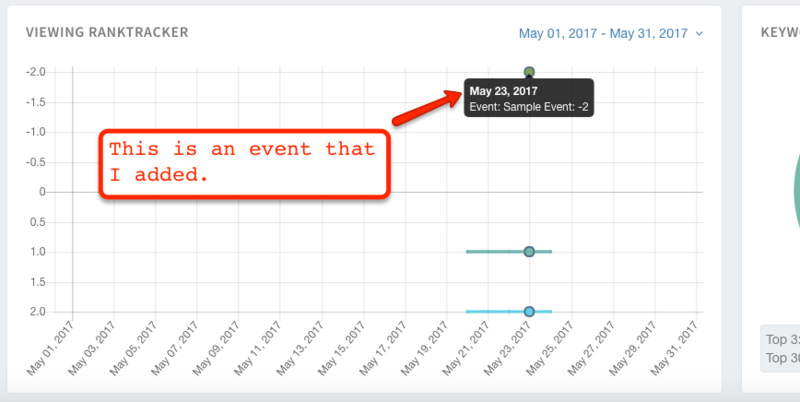 Now that you can see the event in the graph, you can now track if the event had any impact on your ranking. You applied a specific link building strategy and you want to track how it has affected your webpage’s ranking. You revised your website’s URL content or layout and you want to know if Google noticed your adjustments. You then want to track if the adjustment has affected your ranking as per Google’s last update. If you’d like to add a new website that you’d like to track, then simply click the blue “Add New Tracking Project” button. Once you’ve added all the details, click the blue “Add New Search” button then our system will start fetching the data for your project. To download your project, simply click the blue, “Download CSV” button. Tracking your website’s ranking in the search engines for keywords that are valuable to you isn’t something that marketers and business owners should neglect. Considering how cutthroat the competition has become nowadays, monitoring your site’s ranking (and your competitors’) is a must. If you’re looking for a reliable, easy-to-use, yet powerful rank tracker tool to monitor your website’s ranking, then signup now for our trial account.